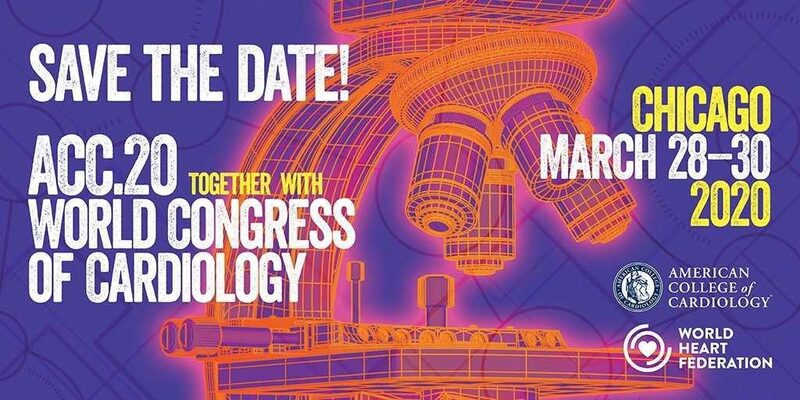 GENEVA/WASHINGTON (March 18, 2019) — The American College of Cardiology and the World Heart Federation will jointly host the ACC’s 69th Annual Scientific Session with WHF’s World Congress of Cardiology (ACC.20/WCC), taking place March 28-30, 2020, in Chicago. “I am looking forward to working with the Congress Program Committee to develop a world class program that spans all aspects of cardiovascular disease and brings our combined message to the widest possible audience,” said Prof. Fausto Pinto, WHF President-Elect 2019-2020. In planning ACC.20/WCC, the two organizations will work together to incorporate ideas about global health content into the overarching meeting program to bring awareness of the vital work needed in global health advocacy, including the UN’s goal to reduce premature death from noncommunicable diseases by 25 percent by 2025.